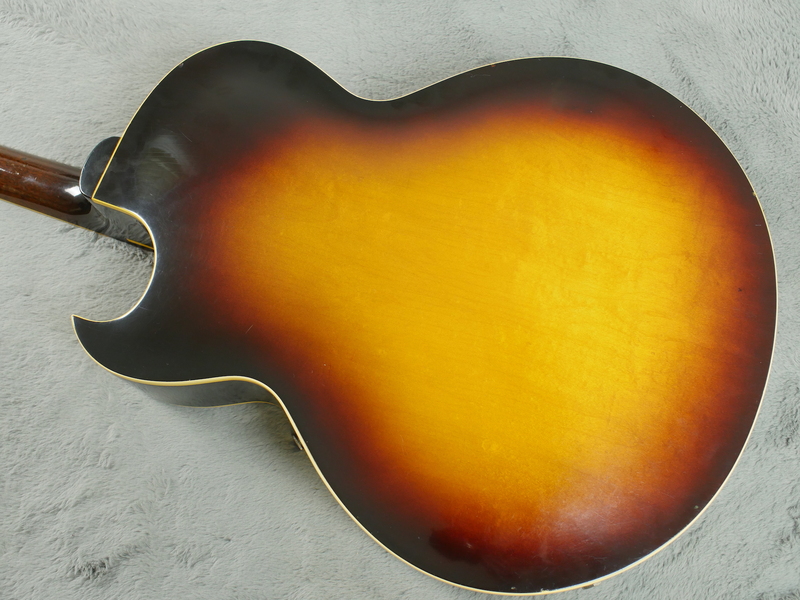 The guitars that come to us more often than not are as they left the factory. 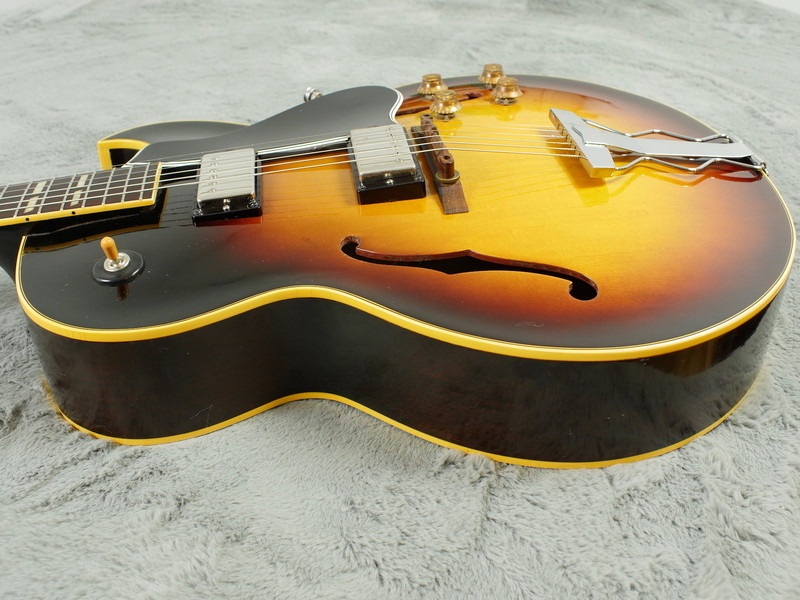 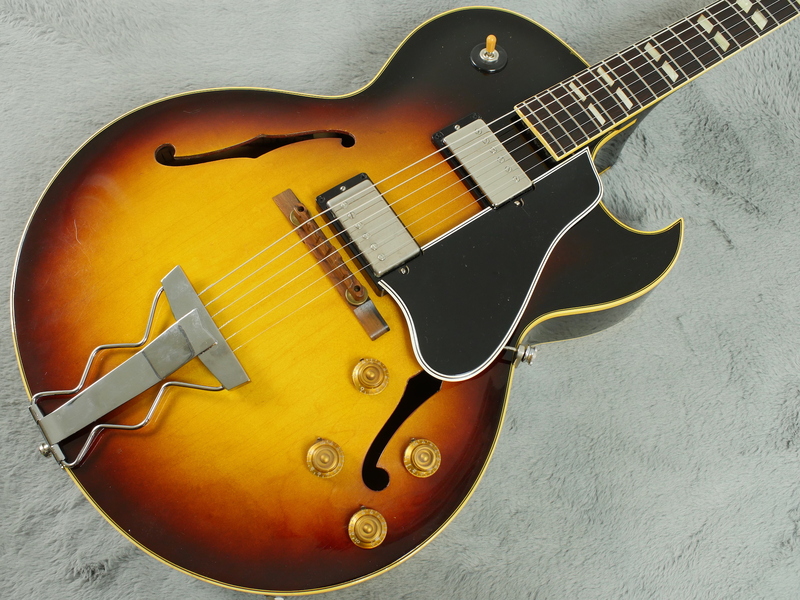 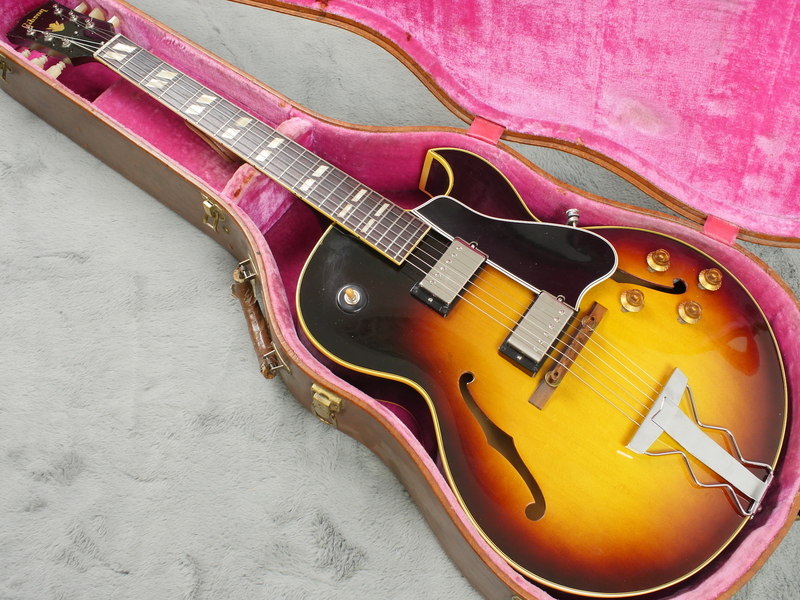 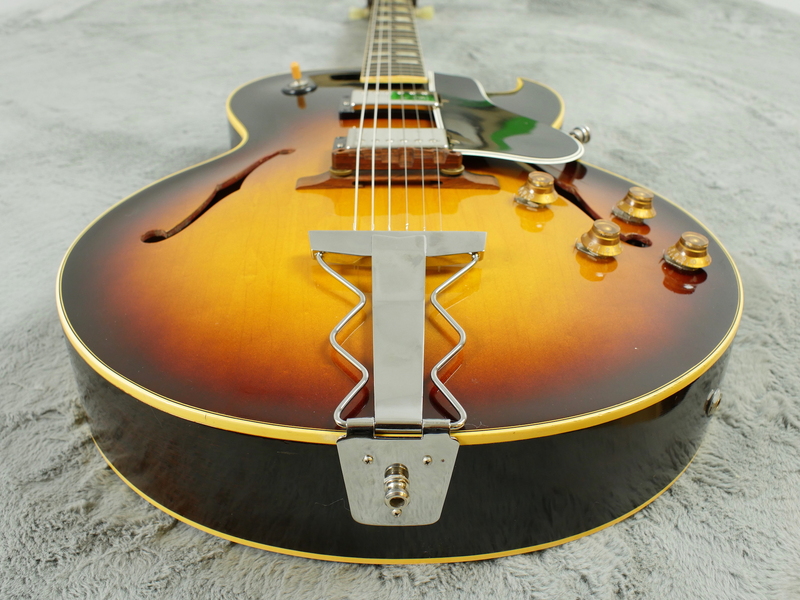 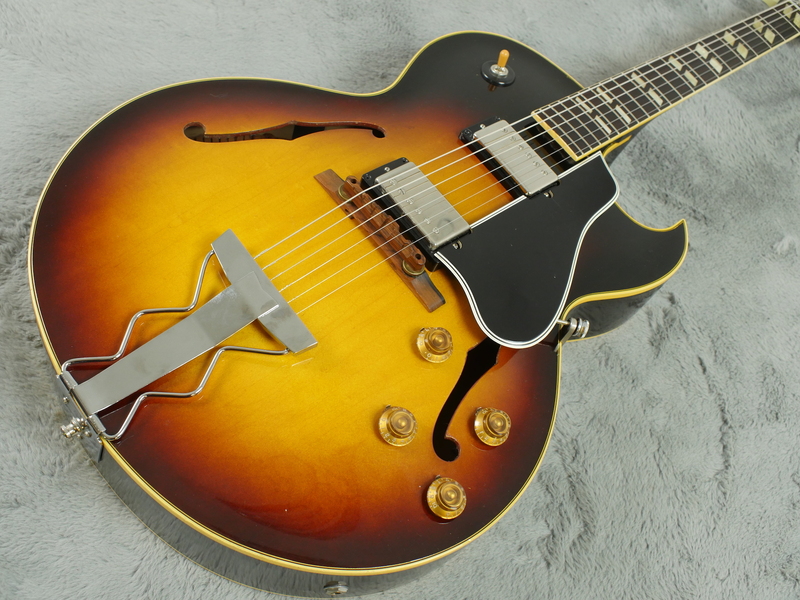 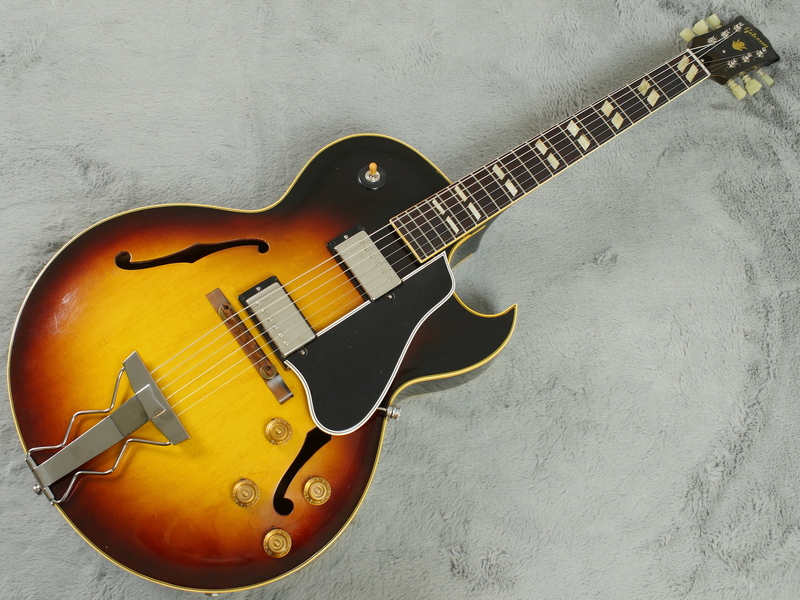 Some though fall foul of their shared heritage, as has been the case with this rather wonderful 1959 Gibson ES-175TD. 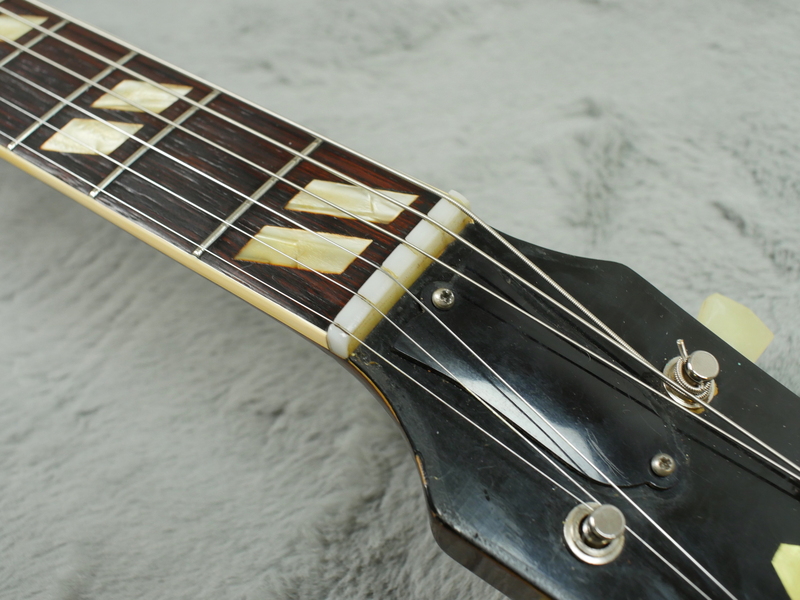 Even though in its original condition this instrument would fetch 5 figures, its component parts can often be worth more as the burst phenomenon continues and parts from this particular period become more and more scarce. 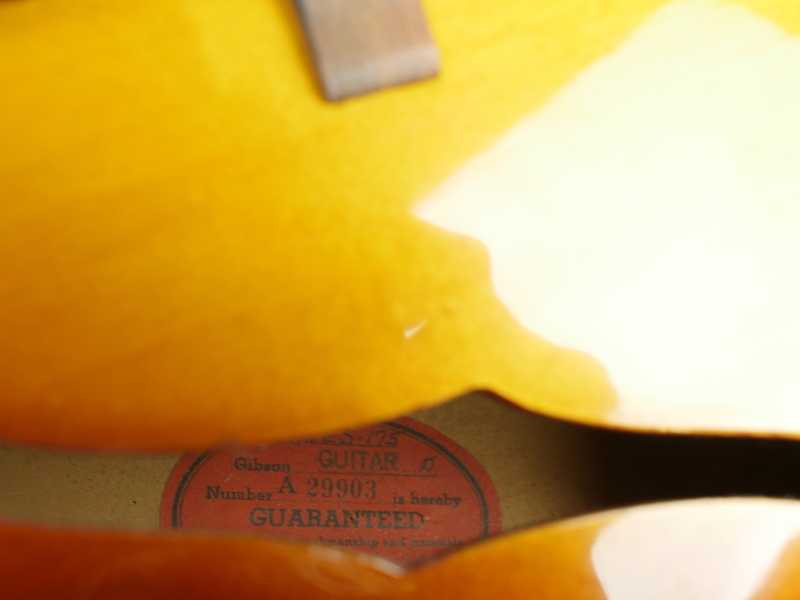 As a result, many of these fine guitars can be found as husks as was the case with this guitar. 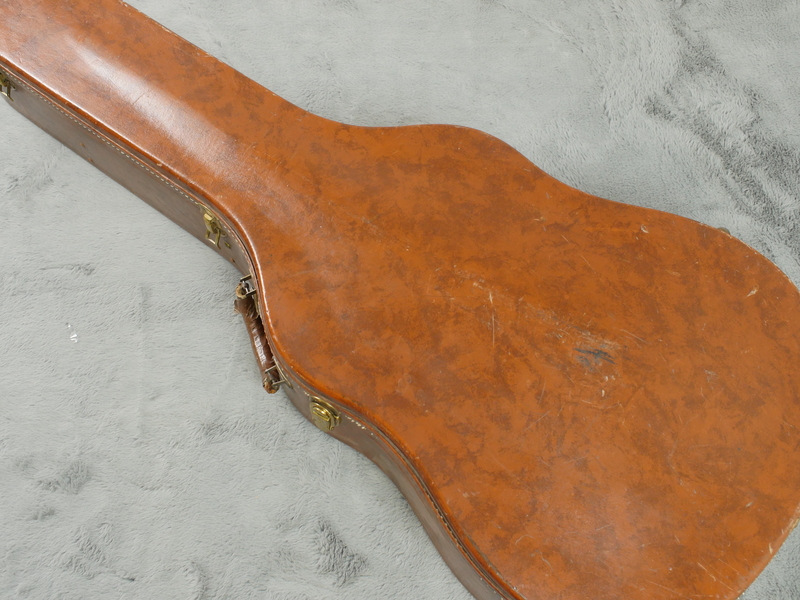 As you can see from the photos, the guitar itself is in fantastic shape. 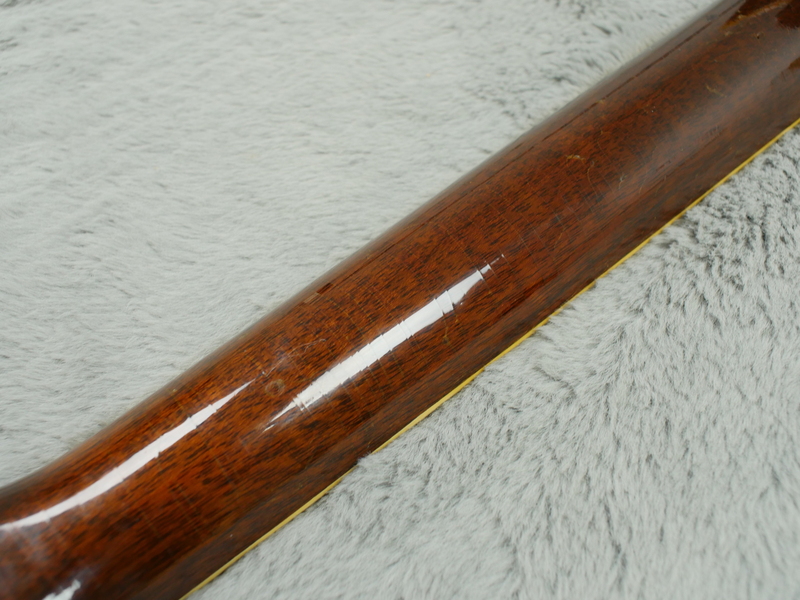 The top, back and sides show little if any signs of wear and the lacquer is gorgeously glossy. 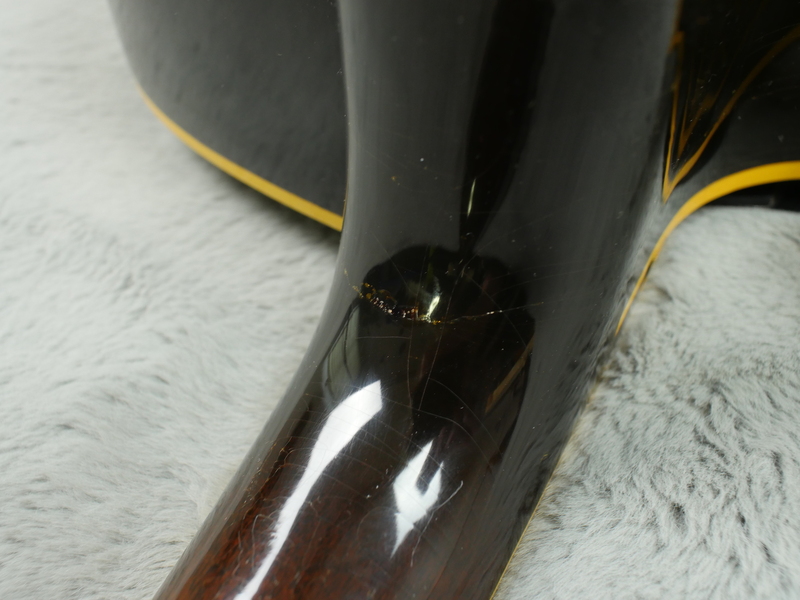 The neck was damaged unfortunately in transit, where it a very slight crack at the heel. 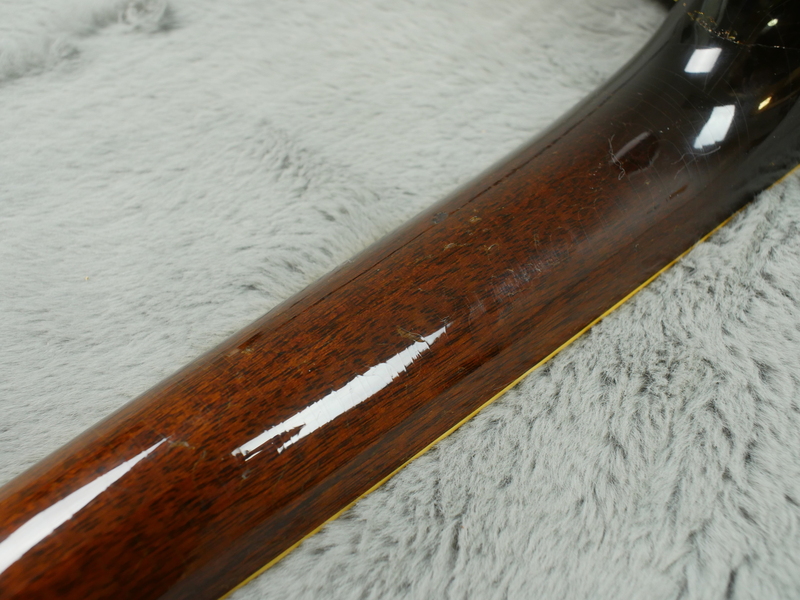 This has been professionally and well repaired and is very strong, the only sign being the hairline crack which we’ve highlighted in the gallery. 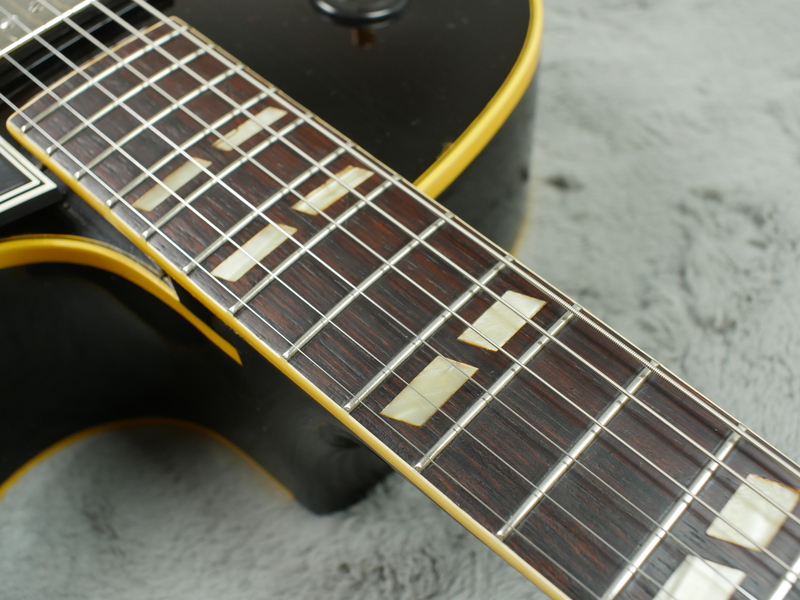 The original frets show sign of wear as does the fretboard, but there is plenty of life left in both. 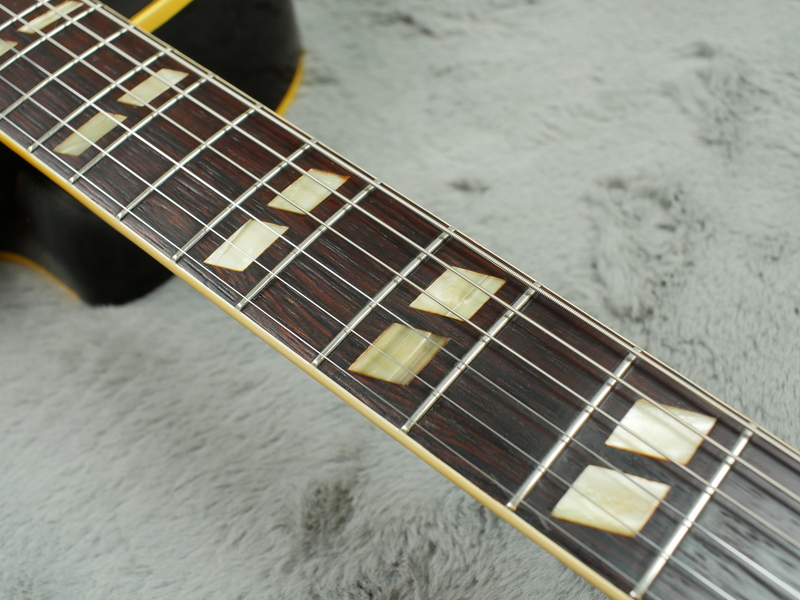 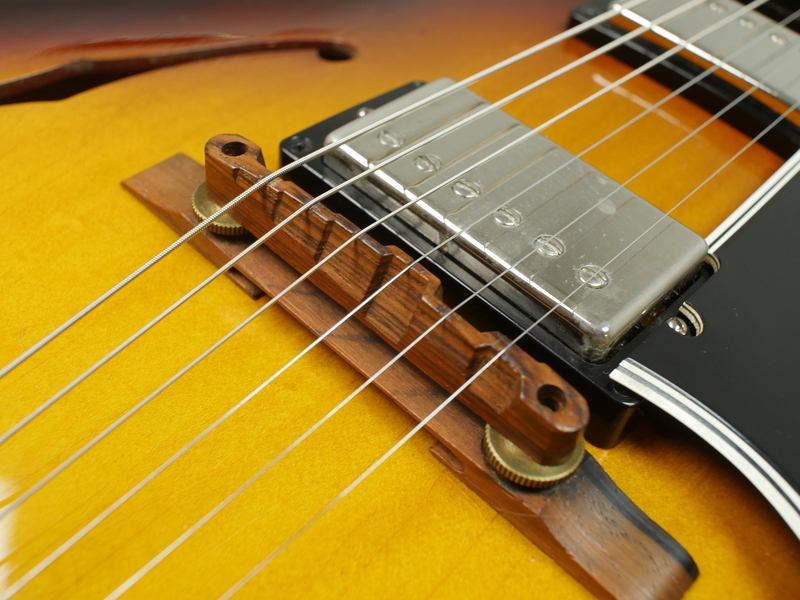 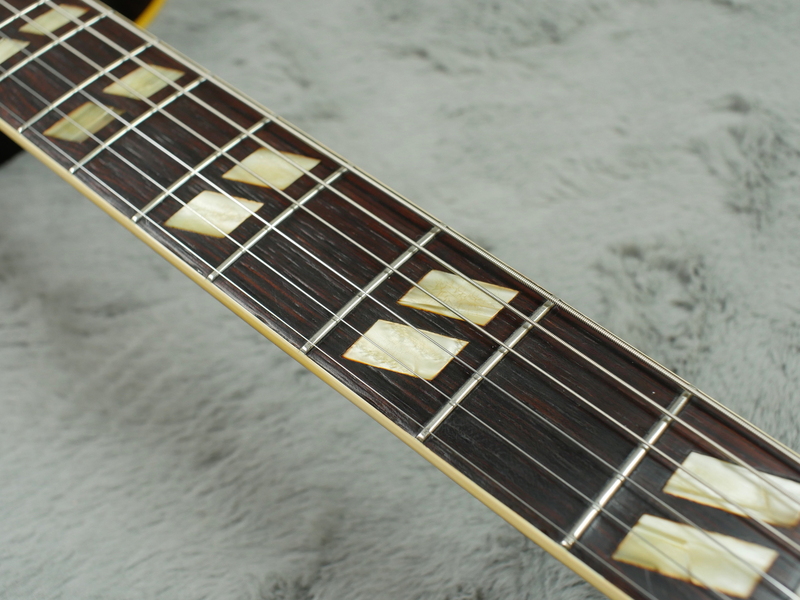 The rosewood bridge, pickguard and pickup rings are original and , like the rest of the guitar, in good shape. 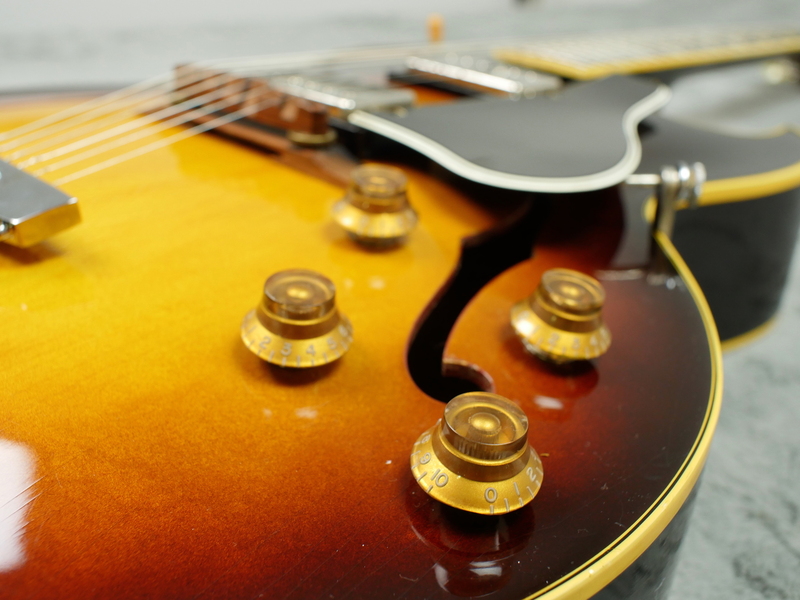 We restored this guitar using quality modern components. 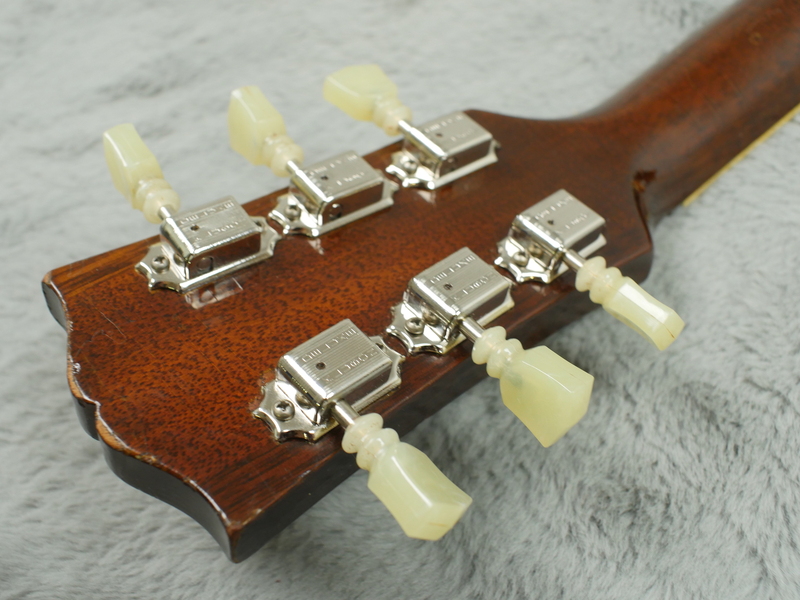 The pots are CTS 500k wired with correct shielded wire connected to a Switchcraft three-way toggle. 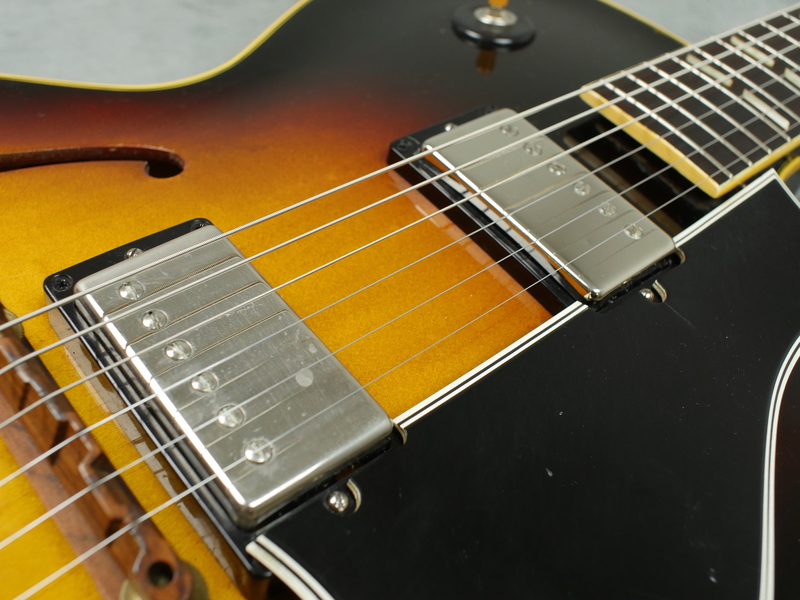 The capacitors are Mojotone Vitamin T. The neck pickup is a Seymour Duncan ‘59 and bridge pickup is a Gibson ‘57 classic. 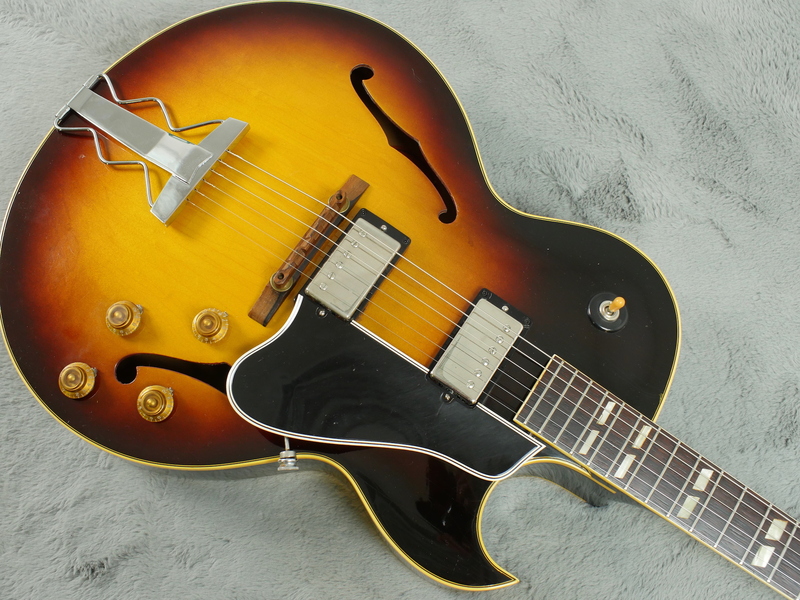 Both work very well together and compliment the guitar. 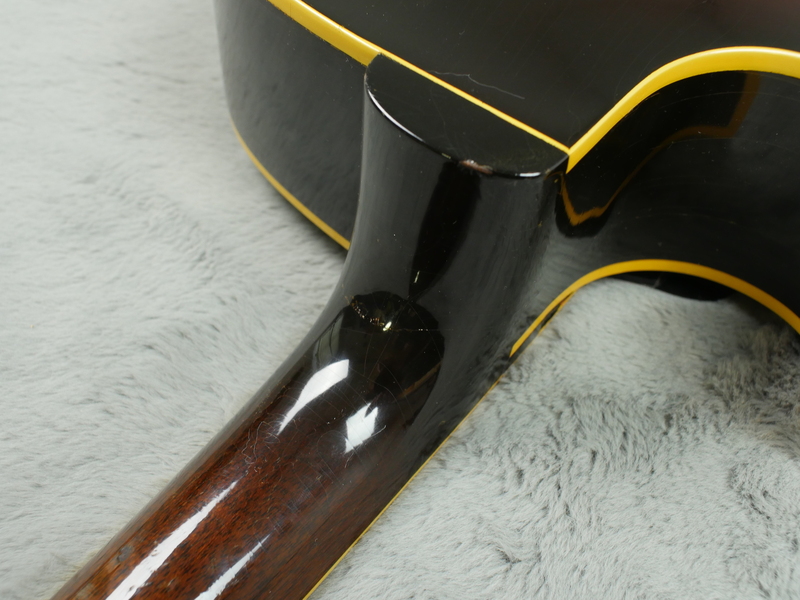 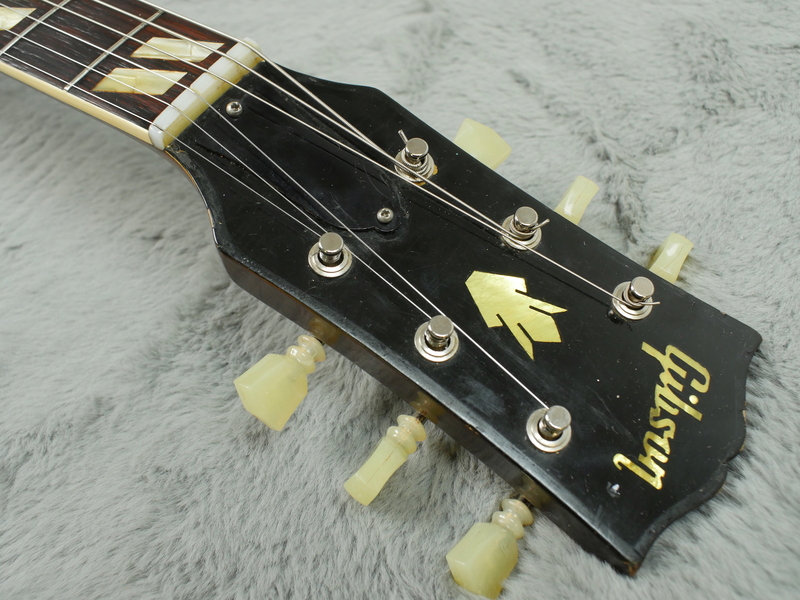 The tailpiece is a reproduction but is period correct. 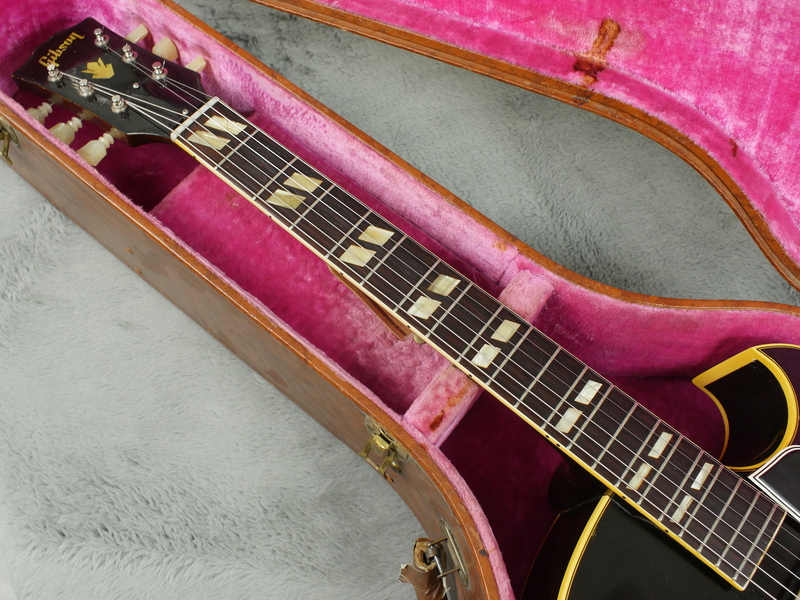 The guitar comes with a correct Lifton 5 latch, pink lined case, in great shape which in itself is worth in the region of £500. 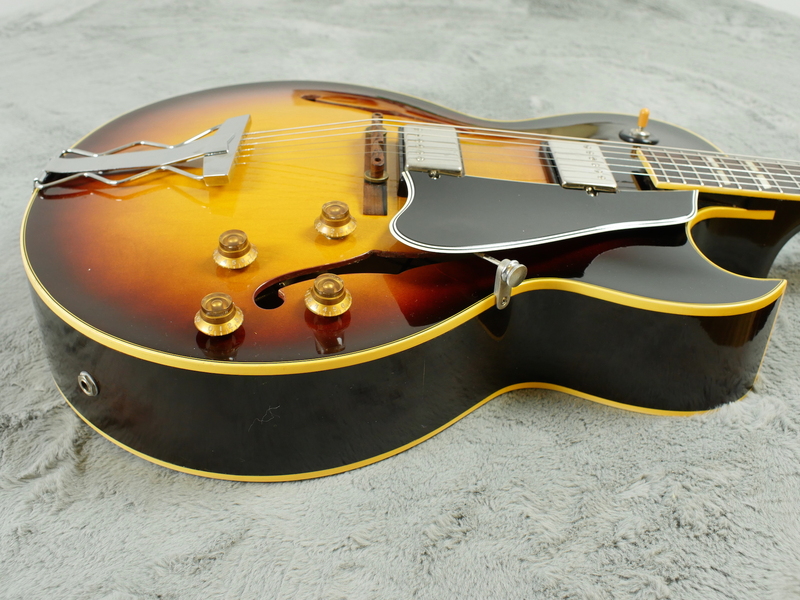 Tonally, this guitar is quite lively. 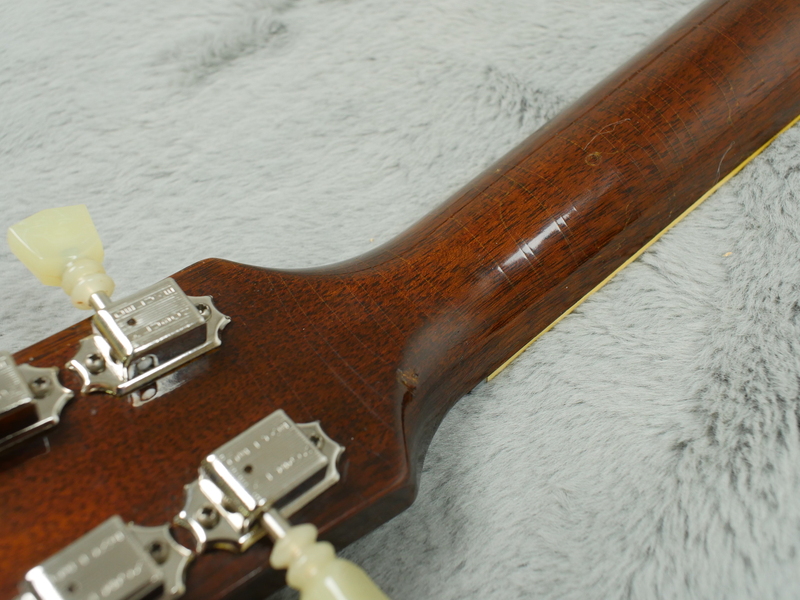 As you’d expect its loud acoustically, exhibiting a pleasing woody tone which comes across when amplified. 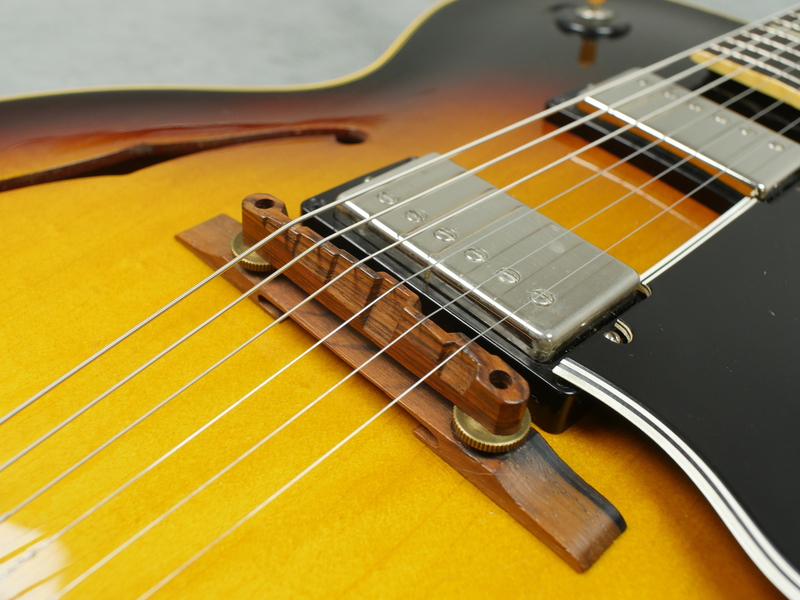 As mentioned previously, both pickups work well together and bring out the character of the guitar, interacting well with the tone controls. 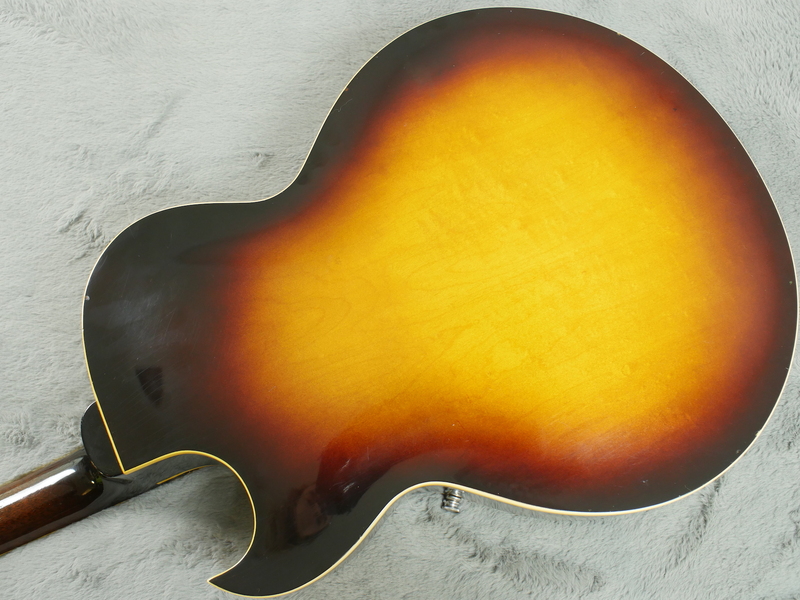 The cherry atop this guitar is its neck profile, that ‘59 carve being so comfortable and ever so popular with players all over the world. 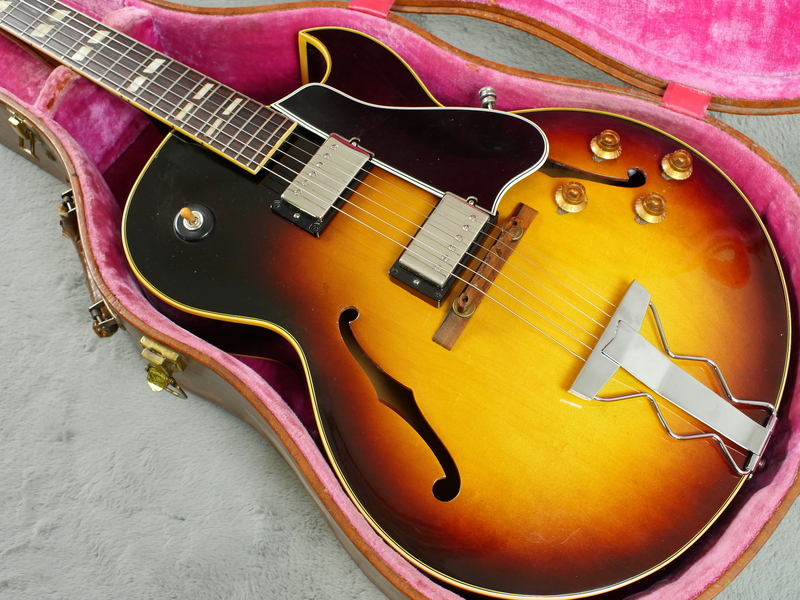 You definitely get a lot of guitar for your money and as player grade, vintage instruments go, you can’t let this one go by.